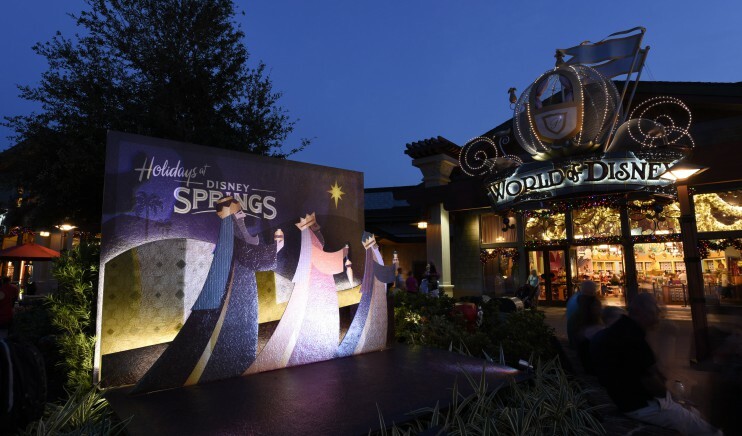 If you’ll be visiting Walt Disney World this holiday season, don’t miss out on all of the festivities going on at Disney Springs this year. 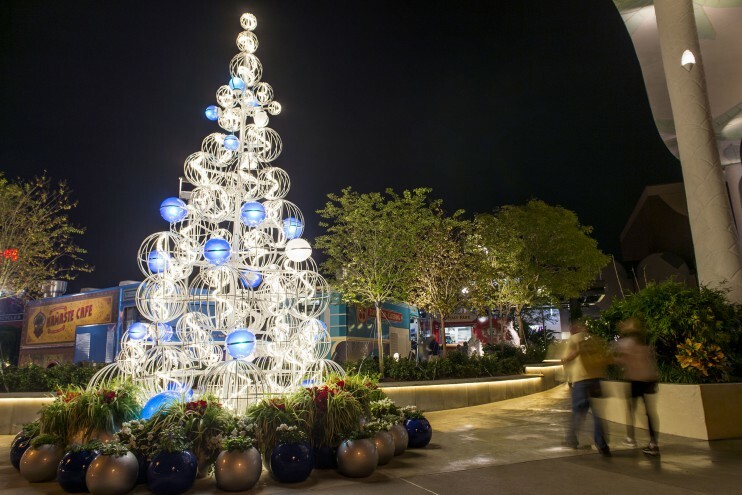 Be sure to head over for a fun-filled day of shopping and dining in a jolly seasonal setting. 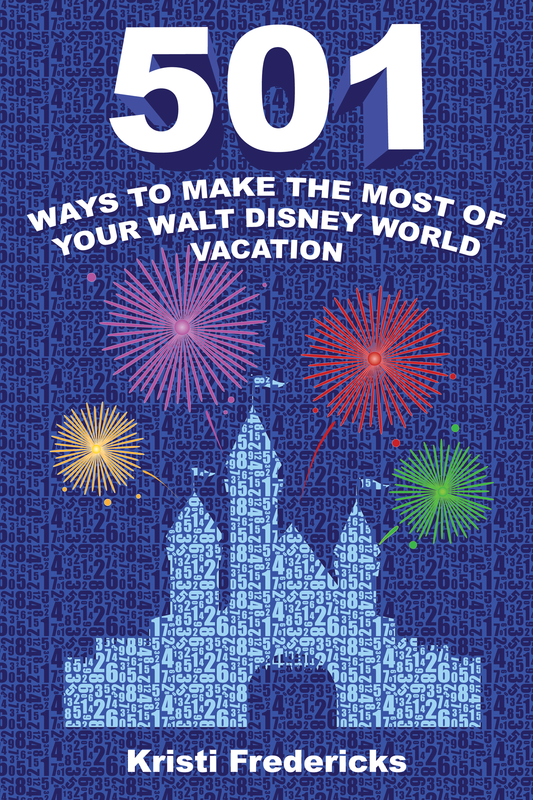 Here’s everything you need to know courtesy of Disney! 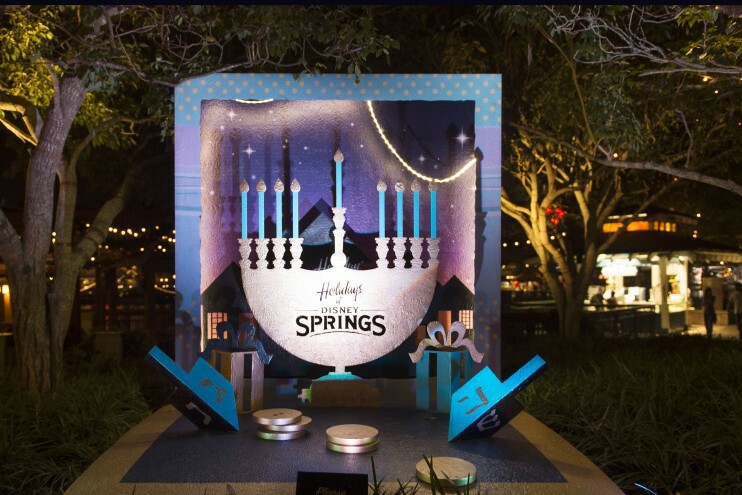 This holiday season, the “bah-humbug” hassle of holiday shopping becomes a joyful family celebration at Disney Springs. Like nowhere else, the holidays come to life at this one-of-a-kind retail, dining and entertainment complex complete with sparkling holiday décor, unique gift-giving (and gift-getting) ideas, tantalizing treats, special entertainment and more. 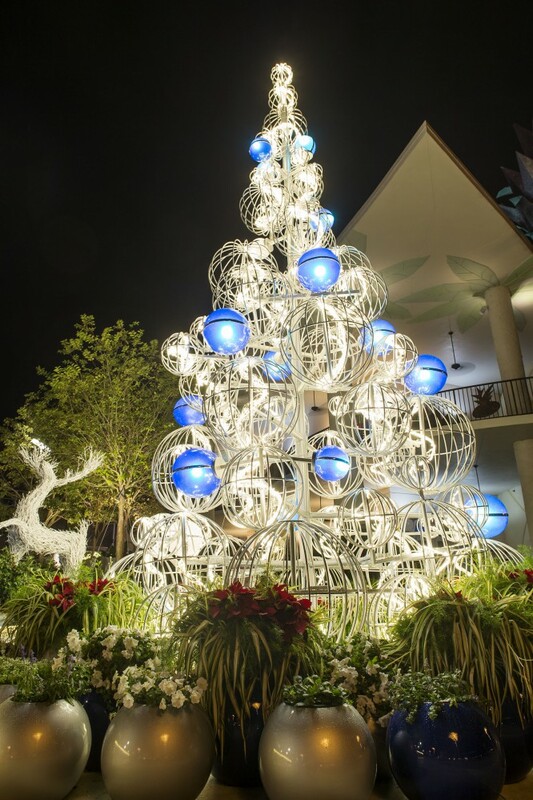 An Even Bigger Christmas Tree Trail – To capture the spirit of the season, guests can stroll among an even bigger Christmas Tree Trail. Twenty-five custom decorated holiday trees, each dedicated to a popular Disney theme, will be on display including 10 new trees inspired by Disney classics like Sleeping Beauty, Peter Pan, Snow White and Dumbo. Santa’s Chalet – Santa Claus is accepting Christmas wish lists and welcoming guests to his chalet newly located by the Christmas Tree Trail now through December 24. Stitch’s Holiday Gift Hunt – Stitch returns to Disney Springs with an expanded scavenger hunt now featuring 16 stops, including a special stop at the even-bigger Christmas Tree Trail. Meet & Greet with the Coca-Cola Polar Bear – This huggable eight-foot tall brand ambassador is available for holiday photos on the second floor of The Coca-Cola Store. La Nouba by Cirque du Soleil – This gravity-defying, jaw-dropping show takes its final bow on December 31. Limited tickets are available by clicking here. Since its premiere, La Nouba has entertained more than 11 million guests and performed more than 8,600 shows. From top-name brands and one-of-a-kind retailers to Disney-inspired merchandise, there’s something for everyone – and every stocking – at Disney Springs. For Star Wars fans on the list, tickets are now on sale for the highly anticipated hyper-reality experience, Star Wars: Secrets of the Empire, debuting at Disney Springs on December 16. For up-to-date information on Black Friday specials and other offers throughout the holiday season, please click here. For those large gatherings when no one wants to cook, families and friends can treat each other to a night out at one of Disney Springs’ signature restaurants. Menus feature everything from steak and seafood to home-style favorites, many created by celebrity and award-winning chefs. New offerings since last holiday season include Paddlefish, Planet Hollywood Observatory and Polite Pig. Call 407-WDW-DINE for dining information and reservations. 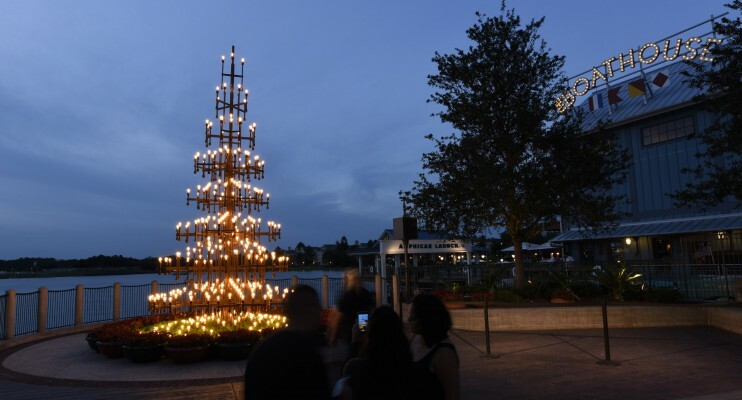 Will you be heading to Disney Springs this holiday season?